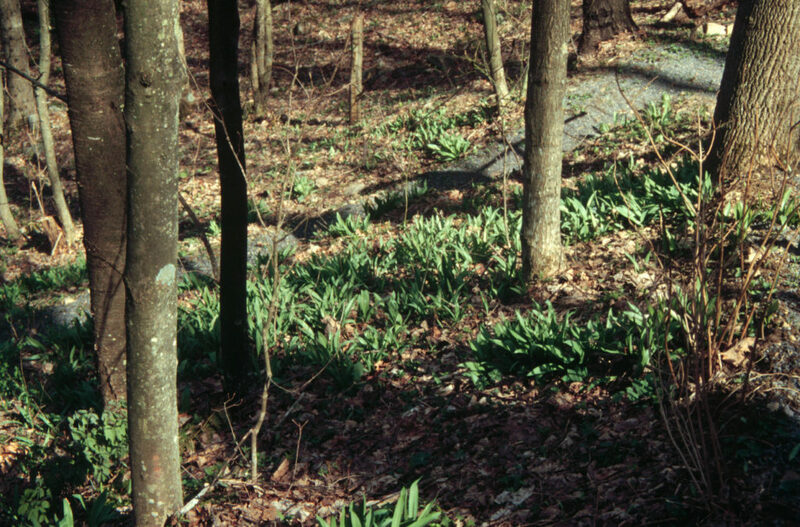 Ramps growing in the woods. These are cultivated. 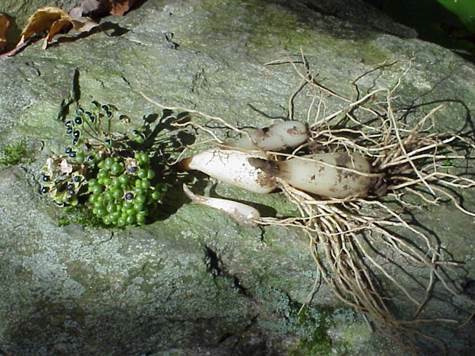 Ramps (Allium tricoccum L.), also called wild leeks, are a native plant that are increasingly popular with wild food enthusiasts. In some areas, wild populations of ramps are threatened by their popularity because they are being overharvested. So I encourage you to buy forest grown (woods grown, wild-simulated) ramps, and to grow your own! Freshly harvested ramps for sale at a ramps festival. There are many resources for you to do all of the above. To grow your own ramps, check out our NC State Extension Ramps publication. Growing and Marketing Ginseng, Goldenseal, and Other Woodland Medicinals by W. Scott Persons and Jeanine Davis, New Society Publishers. 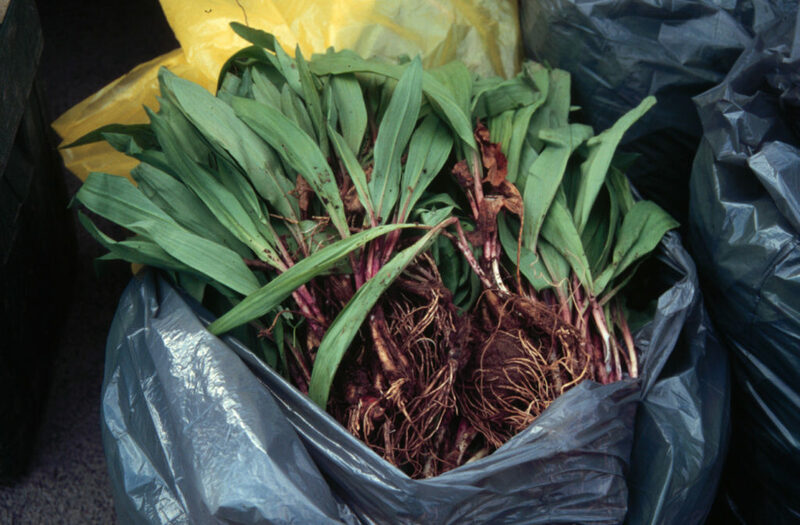 Having Your Ramps and Eating Them, Too by Glen Facemire. It is full of great information on the lifecycle of ramps and how to grow, process, and prepare them. I just posted two ads on Herb Connection related to ramps. One is for a Raleigh-based wholesaler looking to buy NC-grown ramps and another is for an NC nursery selling nursery grown two-year-old ramp plants so you can grow your own.